The Wall Street Journal is a pretty good resource for business news. I say “pretty good” because it has an annoying pay wall and it’s now owned by Rupert Murdoch, who I find tacky (Fox News, regardless of its politics, is lowest common denominator viewing). I do have to wonder about the profit margins on newspaper advertising if a business like the WSJ can’t reliably make enough money selling advertising on its own site that is relies on a subscription model. Maybe this is just a testament to the success of its subscription model? A while back I broke down and bought the Amazon Kindle, which I love. I have been waiting for a perfect ebook reader since I would like to get rid of any material possessions that are not necessary. Let’s face it, books are pretty useless unless you’re actively reading them. Books are an inefficient medium in that they are heavy and take up a lot of space. One of my goals is to reduce my material possessions to the absolute minimum. Like many people I no longer own CD’s for music (having sold them several years ago), but I have also been scanning in all paper records and photos and have sold a lot of furniture and junk on Craigslist. I would eventually like to get to the point where my possessions consist of: a car, some clothing, computing tools, and a few personal effects. A while back I ditched Microsoft Exchange to save some money, which made it more difficult to sync my PIM between my desktop and handheld. Even though I liked having everything synced through Exchange, the cost was annoying for something so simple. With basic Blackberry service you get your email quickly, so it seemed like overkill to pay $20 extra a month just to sync tasks, calendars, contacts, etc. Shortly thereafter, Google released a nice Blackberry app to sync Google Calendar to the Blackberry Calendar, which replaced the Exchange calendar syncing for free. After that, the only thing missing from Exchange was synced contacts and synced tasks. A few weeks ago, the folks at Remember the Milk were nice enough to build a new Blackberry app to sync your RtM tasks with your Blackberry. MilkSync effectively costs $25 a year since you have to have a pro membership to use the app. It’s worth it. Now the only thing missing is Exchange-less over-the-air syncing of your Blackberry contacts. You can get contact data if your contacts are in Gmail using the Gmail mobile app, but it doesn’t sync with the Blackberry Address Book. Hopefully, Google will release a tool to do this. Google will sell a lot of phones if they release similar tools for the Android platform. I’m with T-mobile, so your mileage may vary. Step 1: Sign up for T-mobile’s MyFaves plan. This allows you unlimited calling to five telephone numbers. These numbers may be in-network or out-of-network. In other words, they can be any five phone numbers. Step 2: Sign-up for a free Google Grand Central Account and phone number. Grand Central allows you to receive calls at any phone via one number. It’s basically a free hosted PBX system with some nice extras. Step 3: Forward all your inbound Grand Central calls to your MyFaves phone. In the Grand Central settings have all your inbound calls routed to your cell. Step 4: Add your Grand Central number to your MyFaves plan as a “fave”. Any calls to and from your Grand Central number will fall under your MyFaves unlimited calling plan. With Grand Central you can make outbound calls by clicking a link in Grand Central, which will initiate the call and then will ring your phone to connect you. Step 5: Give your Grand Central number to friends and family. Any calls to your Grand Central number will forward to your cellphone and will be calculated as unlimited calls. One thing that’s difficult in search engine marketing is finding good data on search traffic: how often a keyword phrase is searched, how one keyword phrase compares to another in total search volume, how well your competitor is doing relative to you, etc. There’s no real way to get this from the search engines in any usable form as this is essentially their secret sauce. Google has a service called Google Trends where you can compare the relative strength of one keyword to another, but, as far as I know, Google does not provide the public with exact data on the number of searches for say, “hot tamale” or “Chris Sivori” (that’s me). However, if you’re willing to risk a little money, you can use AdWords to monitor particular search phrases. For example, a while back I started an AdWords campaign to monitor searches for both “chris sivori” and “sivori”. I was curious as to how many times my name popped up in a search. Obviously, it wouldn’t be that often as I’m far from notable, but this made it an even more compelling idea as I would be likely to know whoever would be searching. Create your campaign. Create an AdWords campaign and uninteresting ads (remember, you don’t necessarily want clickthroughs) for the search terms you want to monitor. 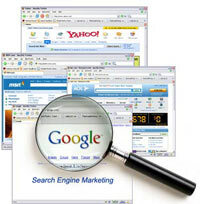 Be advised, that popular search terms could result in you losing some money. Set an acceptable budget. Set your daily budget low enough to where if you suddenly get tons of clickthroughs you won’t lose a lot of money. My daily budget is $1.00 (the lowest you can budget), so the worst I can lose is $30 a month. Usually, it comes out to around $2.00 or so a month. Check the results. After a few days, log in to your AdWords account and view the impressions for every keyword your tracking. In this case, an impression is any time your ad appears. If your ad bid is competitive it is likely to appear for every instance of a search for your keyword phrases, so the number of impressions will give you a good idea of the total search volume for the keyword phrases you would like to track. Keyword monitoring with this method will obviously work best with unpopular phrases. Obviously, if you wanted to track a popular keyword, you could spend a lot of money and burn through impressions pretty quickly without necessarily getting an idea of the total search volume. Another complication is that Google seems to mess with the default bids to keep people from using AdWords purely for this purpose. I’ve noticed that two equally inconsequential keyword phrases can have wildly different default bids. If I remember correctly, Google has a certain threshold for bids if the keyword is unlikely to be searched to prevent people from placing a bunch of five cent bids on long-tail keywords. Track the competition. Imagine you’re working for the McCain campaign, for example, and you want to stay abreast of interest in Mike Huckabee. You could place an ad luring Huckabee supporters to your site from searches for “mike huckabee”, “huckabee”, etc. while also using the impressions data to gauge changes in interest in this candidate. If you monitored your AdWords impressions, you might be able to see a sudden peak in searches, which might indicate growing interest. If you used this method with geographically targeted PPC ads, you could monitor interest levels over time in various battleground states, for instance. See who’s clicking the ads. If you Google Analytics and add campaign tracking variables to the URL’s in your ads, you should be able to tie a particular ad clickthrough to a specific IP address, which will allow you to further drill down into the source of your clickthroughs and will provide information as to the time of day and specific information about the user including browser type, OS, screen resolution, ISP, company name, etc. Reverse stalking. Monitoring your own name can be useful in certain situations. If your name is Google-able, you might see a pick up in searches following job interviews, client meetings, conferences, etc. It can be eye opening to see how many times someone Googles you. I welcome the transparency, although I hope I never do anything I have to worry about showing up online. Got any other ideas? Suggestions? Leave a comment and let me know. I’ve been attending to my finances in my typical feast or famine fashion. I sat down and looked through my records after ignoring everything for a few weeks… checked my accounts, analyzed earning / spending and tried to see where I can cut costs. I have two checking accounts (one business and one personal), two savings accounts, and a handful of different brokerage accounts (partly due to having a few different 401k plans over the years and partly from chasing after the lowest commissions). As a result, the process can get complicated. To avoid future surprises, I signed up for a bulk messaging package ($5 a month). Then I called to have the plan applied retroactively so I could save forty bucks on my past bill. Many people would not have done this, but I enjoy negotiating. If I made a list of all the things I wanted for Christmas, it would include two items. A new laptop and a GPS receiver. Unfortunately, the laptop is a little more necessary. There was some good news last week that made everything better. Google released a really cool update to Google Maps. Now that Google has released a new version of Google Maps for mobile devices (with My Location), I can do 70% of what I would do with a standard GPS receiver (Garmin, TomTom, etc.) on my Blackberry, which, unlike most other gadgets, I always have with me. Using this new version of Google Maps I can determine my position to within a few hundred meters; close enough for things like driving directions and finding the nearest Starbucks. The Google Maps application does this by using your cellphone to figure out where you are in relation to the nearest cell towers. It works very similar to GPS in that instead of determining position by triangulation against orbital satellites, it just asks your phone where the nearest cell towers are and figures it out from there. I read a good entry over at Signal V. Noise about how to go paperless by using an expensive duplex scanner from Fujitsu. While I still think this is a great way to do it, and I may even buy one of those scanners, a while back I came up with an easier and far cheaper way to scan my mail and documents into a digital form and have been using it for a while. Most offices, like mine, have fax machines or fax copiers. I also have a fax to email service through my toll-free provider, Ring Central, where your fax documents are scanned and emailed to you as PDF attachments. If I ever want to archive a paper document into a digital form, I just fax it to myself and save the PDF to my computer. I also leave a copy in my gmail account where I can access the file from anywhere. The only downside I have discovered is that the faxed PDF is not transformed into indexable text via OCR (optical character recognition) during the scanning process. I compensate for this shortcoming by giving each document a readily comprehensible file name. If you fax each document at a high enough resolution you may be able to perform OCR on the output, however the descriptive file naming used in conjunction with Google Desktop Search has worked well for me. Tumblelogs are a good way to annotate and clip items from the Internet. Now, with a service called tumblr you can make a scrapbook like blog of interesting videos, photos, quotes, and links from your journeys around the web. Tumblr automatically pulls down your del.icio.us items and posts those, too, if you’d like to keep everything centralized. Check out the letterneversent tumblelog for an example.